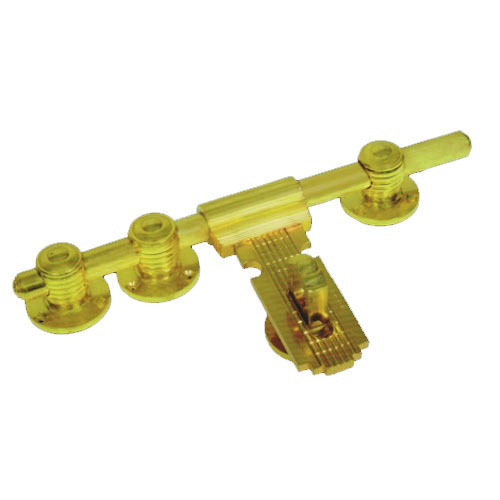 Our competency lies in manufacturing an excellent quality range of Brass Fancy Aldrops. “Shree Krisna Industries” is a leading company which is betrothed in manufacturing a durable collection of Tower Bolt, Door Hinge, Gate Hook, Door Aldrops, Brass Window Adjuster, . Incorporated in the year 1980, we are a Partnership that is established with an aim of providing a durable and qualitative range of door fittings and accessories. Under the supervision of our mentor, “Mr. Dushyant M. Ashar”, we have gained tremendous success in this domain. Located at Jamnagar (Gujarat, India), we are supported by a team of creative professionals who are considered as the strongest pillar of our firm. We are offering our products under the brand name Krisna.